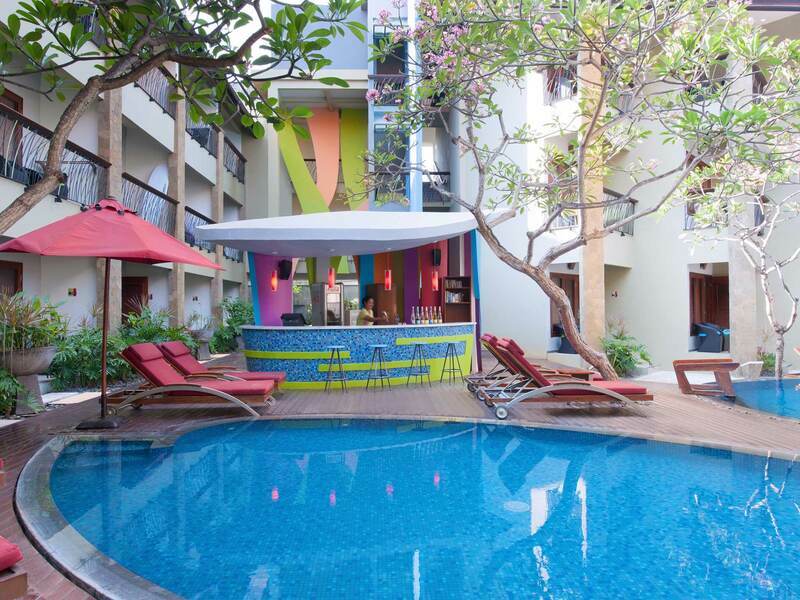 All Seasons Resort Bali Legian 3-Star Hotel offers 112 air-conditioned rooms surrounded by tropical gardens. 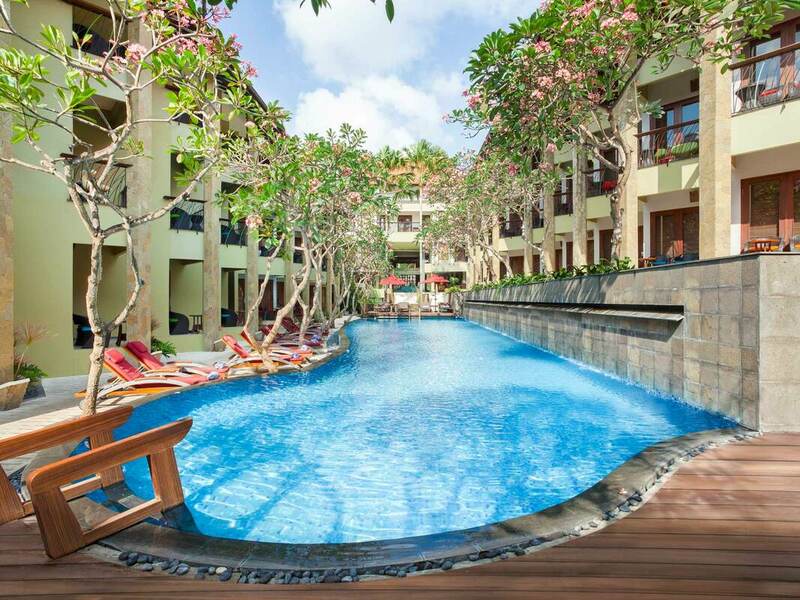 The central pool deck has a kid's pool, sun loungers and a bar. 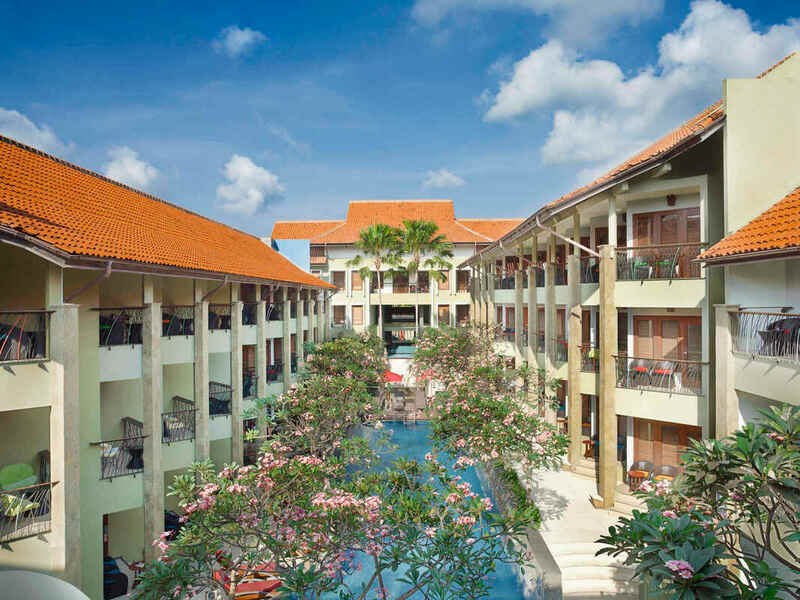 Dine at Colours Café or relax at Chill Out Spa with a traditional Balinese massage. 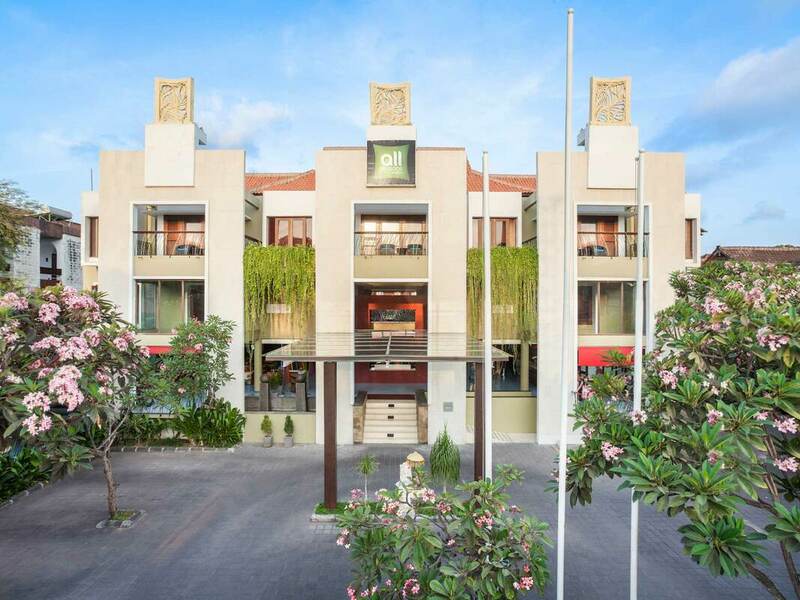 The hotel is only 15 minutes from Ngurah Rai International Airport Bali. 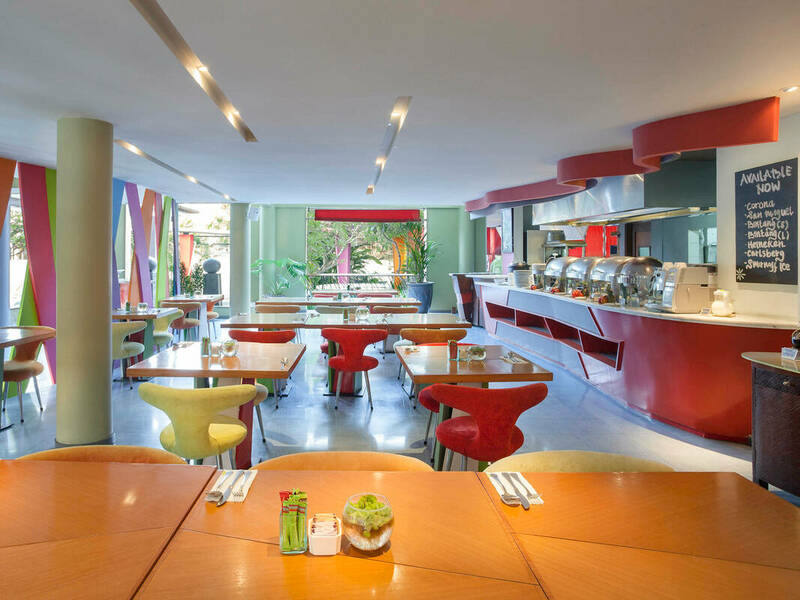 Part of the My Resort program for Le Club AccorHotels members. 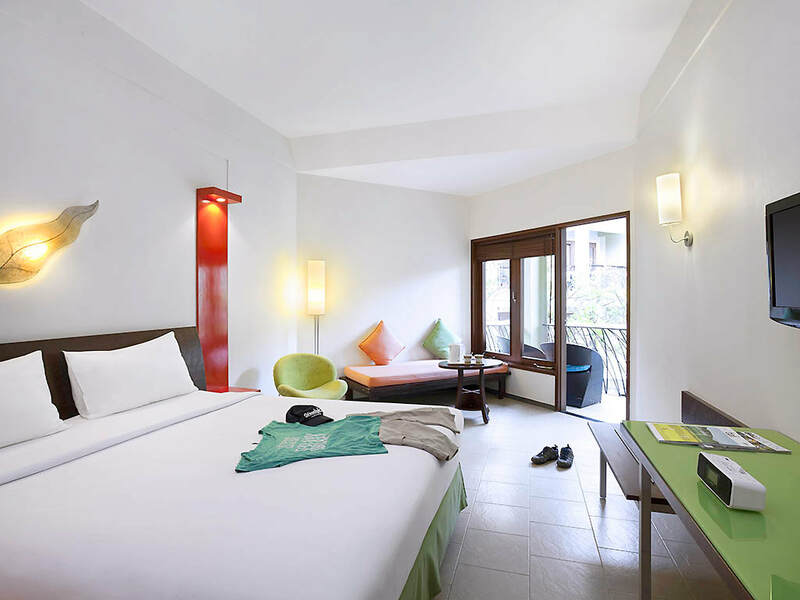 Boasting fresh, comfortable funky design Superior Room is a real breath of fresh air; featuring LCD TV, coffee/tea maker, safty box, iPod dock, fridge and slipper. Up to 2 adults and 1 children. 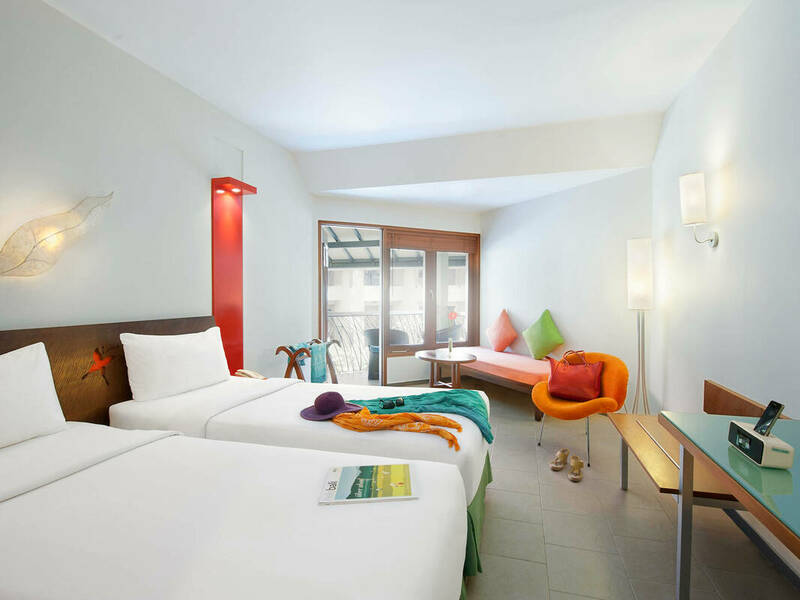 Located on 2nd and 3rd floor, Superior Room is real od breath of fresh air. 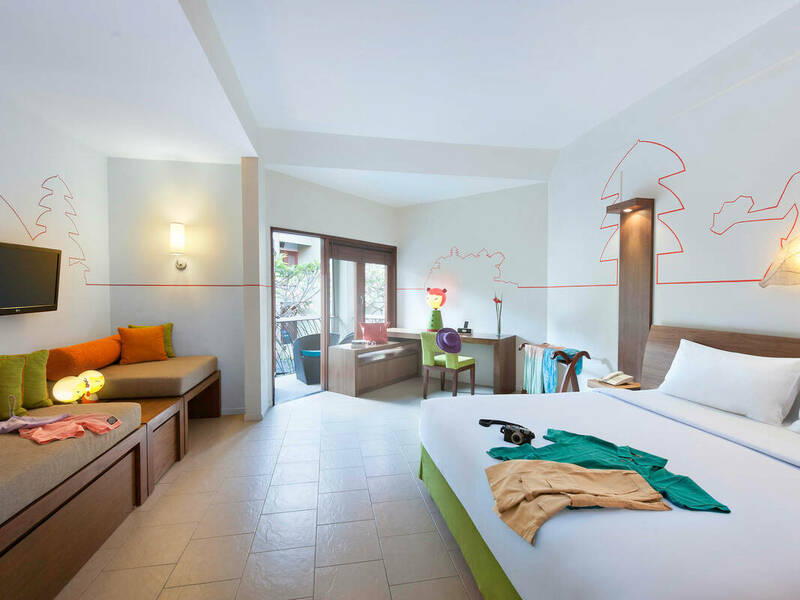 From the colorfull walls to the inviting Pool View balcony; featuring LCD TV, coffee/tea maker, safety box, iPod dock, fridge and slipper. Up to 2 adults and 1 child. 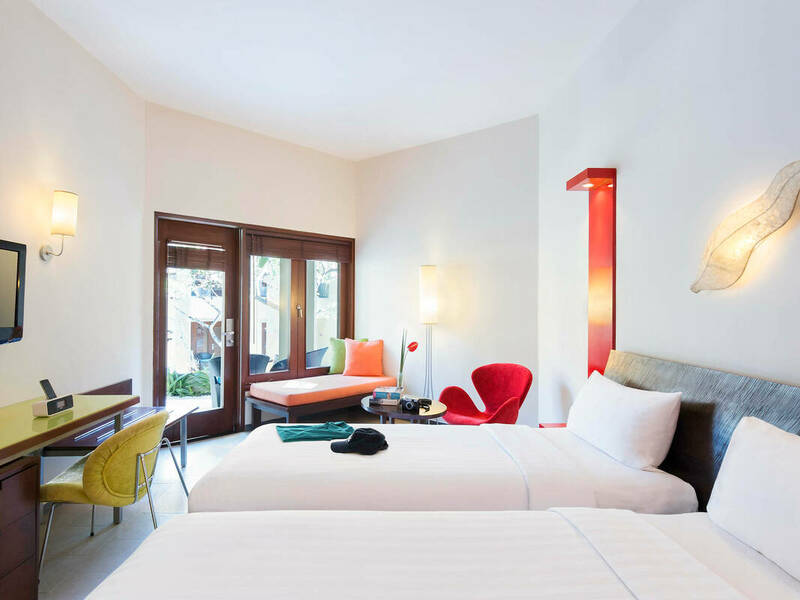 Located on the ground floor, the rooms are of a simple contemporary modern design and each features an outdoor rain shower and a terrace overlooking the pool. 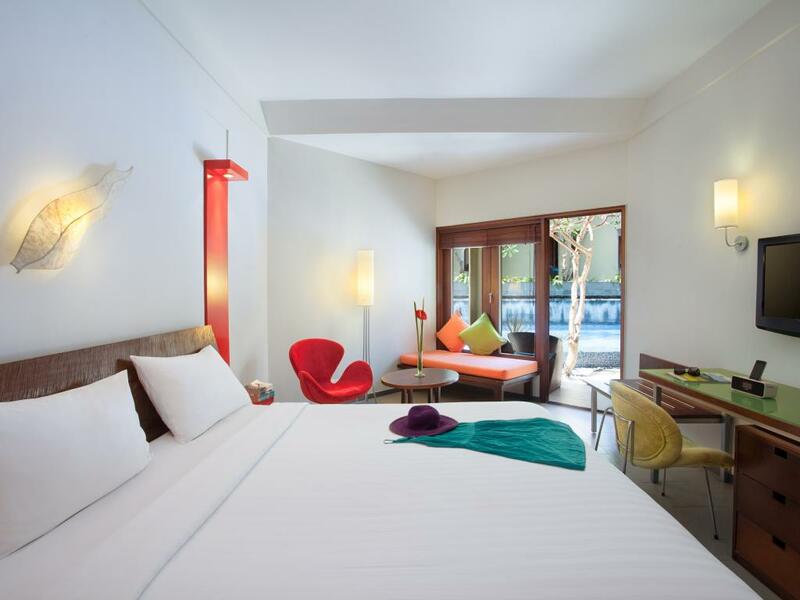 Kick back in the super cool room! 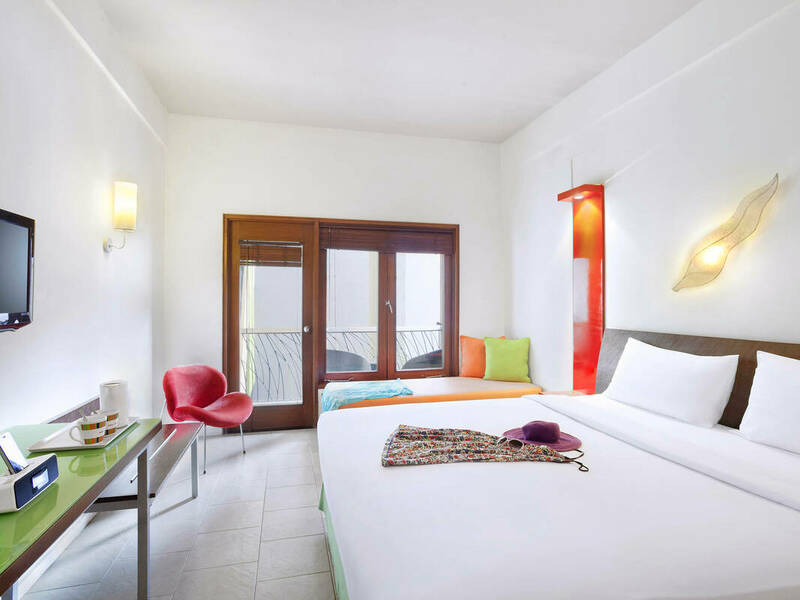 Located on 2nd & 3rd floors, consist of 1 double bed and 1 sofa bed, these rooms boast funky design, a balcony overlooking the pool, plus coffee making facilities and free bottled water. Up to 2 adults and 2 children.